For your own interest and as a reliable measure of performance it is a good idea to carryout regular monitoring of your planting site over time. Continue reading for some simple ways you can monitor your site. Wooden Discs – simulate fallen logs in mature forest. Discs of pine, macrocarpa or other woods, cut from logs 40-60 cm in diameter and 10-20 cm thick can be used to simulate the fallen logs found in mature native forests. For best results the discs need to be dried and the flattest surface placed on bare soil (i.e. remove leaf litter and grasses, etc before placement on soil). Ideally 6-8 discs should be used for each monitoring site and can be labelled by stapling or nailing tags on the tops of discs. These discs provide a moist, safe haven for native invertebrates and lizards. 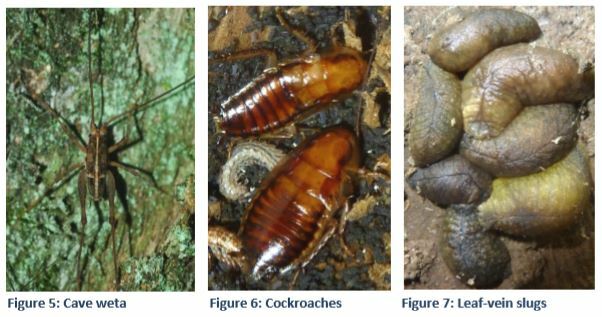 Invertebrate species using discs include: spiders, ground beetles, cave weta, snails, slugs, earthworms, flatworms, leaf-vein slugs, harvestmen, centipedes, millipedes, slaters, springtails and mites. A month or so after disc placement, the populations of these species can be monitored by slowly lifting one side of the disc, counting and/or photographing species beneath and carefully lowering the disc back to its original position without squashing individuals that may have moved. time/s each year to standardise comparisons over years. A record of species under discs can be kept in a data file with the date of observations. Your findings from your site can be loaded on to NatureWatch NZ (http://naturewatch.org.nz). You can set up your on project and even get people to identify your unknown species, and it’s free! programmes. Ecological Restoration and Management 5(1): 34-42. 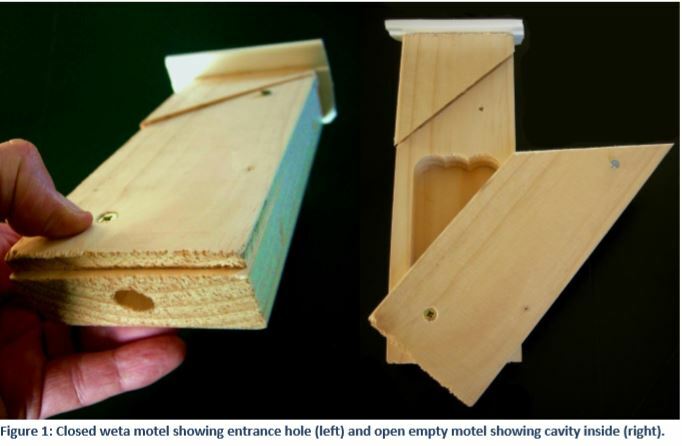 Weta motels are wooden refugia that simulate natural galleries that weta and other invertebrates use in trees. They have a hole that is only just big enough to let weta in, but too small for its predators – mice, rats, possums, hedgehogs, etc. Other insects and invertebrates also use motels including leaf-vein slugs, spiders and beetles. Weta motels are great for kids, schools, community plantings, ecological restoration projects, etc. Motels can be monitored over time to watch how motel occupation changes. 1. Select a tree (preferably a native) – e.g. Kanuka, Hoheria, Fuchsia, Ribbonwood are good. Choose a tree with a diameter wider than the motel and preferably trees with holes 10-18mm in diameter. Holes with webbing will most likely have spiders inside. 2. Tie your weta motel to the tree using lacing wire anywhere from 0.5m to 2m above the ground. Tie it tight enough so it does not slide down or move easily, but not too tight as to cut into the tree. 3. Check your motel every three months for inhabitants. Do not open regularly or weta or other occupants may abandon the motel. Unlock the door using pliers as the wood can sometimes swell up. Slide the front panel sideways slowly as any inhabitants present will be nocturnal and may startle in the bright light. Close door carefully ensuring weta antenna or legs are not in the way. References Bowie, M. Hodge, S. Banks, J. and Vink, C. 2006. An appraisal of simple tree-mounted shelters for non-lethal monitoring of weta (Orthoptera: Anostostomatidae and Rhaphidophoridae) in New Zealand nature reserves. 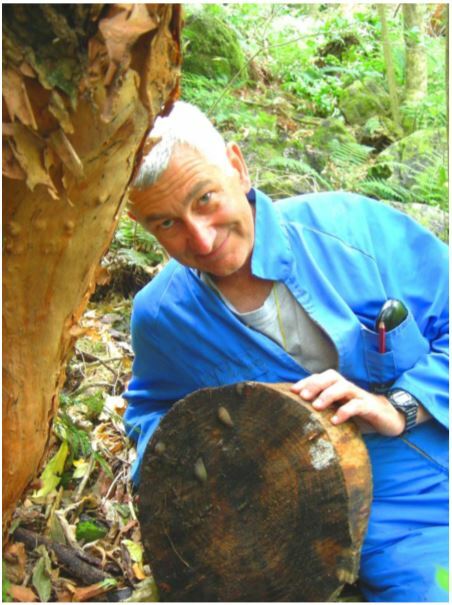 International Journal of Insect Conservation 10: 261-268. Bowie, M.H. Allen, W.J. McCaw, J and van Heugten, R. 2014. 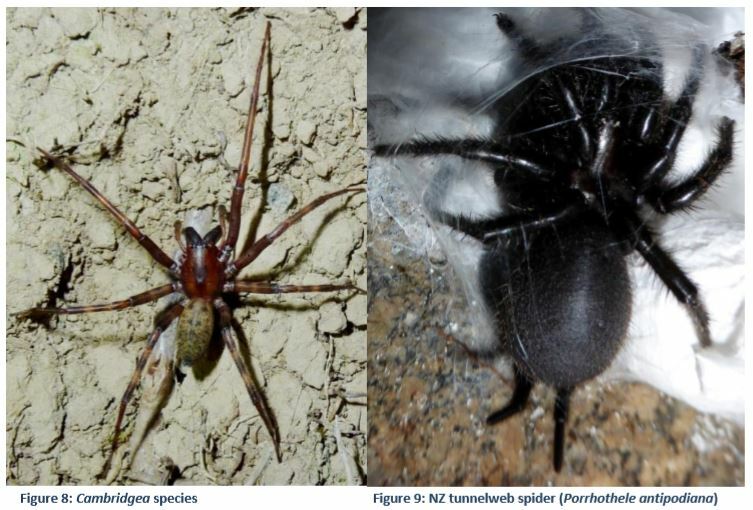 Factors influencing occupancy of modified artificial refuges used for monitoring the range restricted Banks Peninsula tree weta Hemideina ricta (Anostostomatidae). New Zealand Journal of Ecology 38(1): 132-138. A good way to record plant growth is simply to record an image of your planting site from the same spot on a regular basis. For each site we recommend creating two to four photopoints where a photograph can be taken looking in the same direction over several years. When choosing a photopoint, consider how future growth may obscure the view. 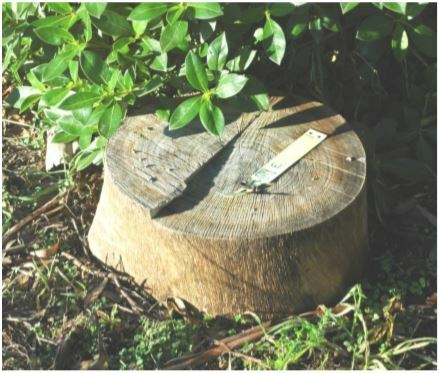 It is a good idea to mark the spot with permanent stake or stand at an obvious point such as a corner or fence post. When taking photographs it is useful to include something in the background that will act as guide when duplicating the image in the future. This could be a fence post, hills in the background or a building. Te Ara Kākāriki create and take photopoints at our Greendot sites for at least two years.